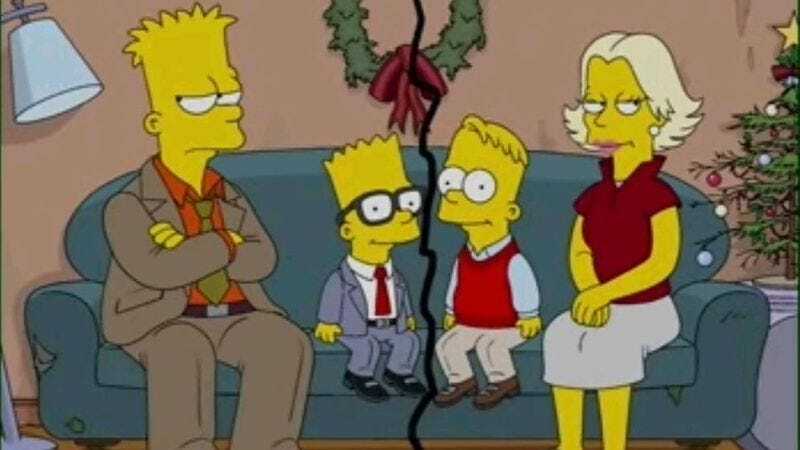 Jenda popped up again briefly in one of the Simpsons’ other “future” episodes, “Holidays Of Future Passed,” where it’s established that she and Bart had two kids, then separated. And now she’ll appear again in an episode called “Days Of Future Future,” about Bart trying to get over their divorce “in a bit of a Total Recall-type way.” (So, shooting her in the head?) She’ll also be seen dating a “crab-like alien creature,” thus reminding you’re similarly not yet over Futurama.